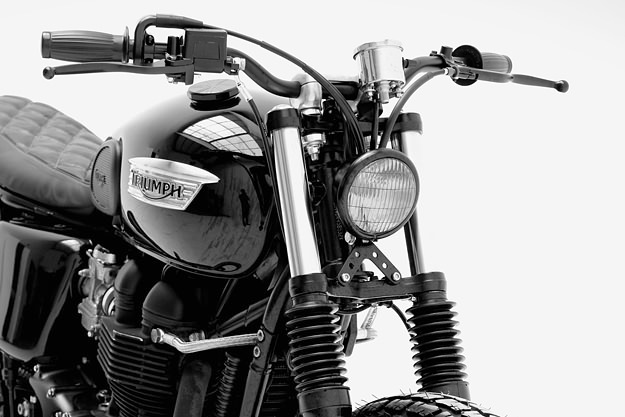 If there’s a surefire way to improve the looks of the average motorcycle, it’s by tidying up the back end. 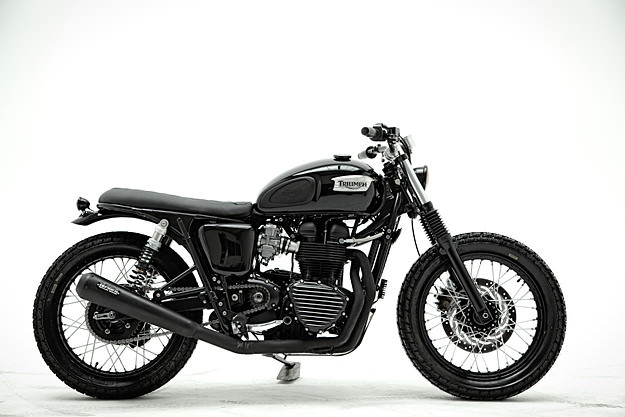 And this Triumph Bonneville, from the Argentinian builder CMP Project, is a textbook example. 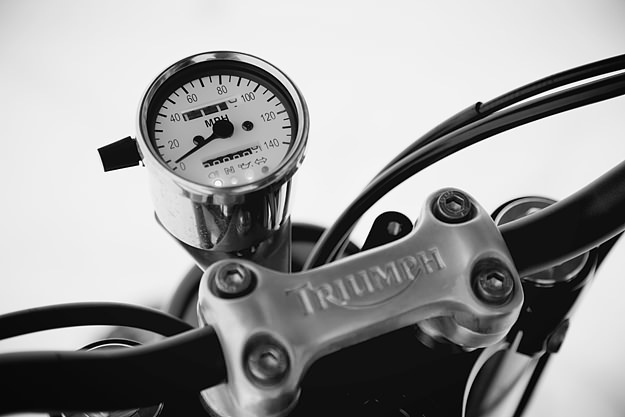 Careful fabrication and a custom-fitted seat have given Triumph’s mainstay roadster a new stance and a new look—one that’s retro and purposeful in equal measure. Parts are hard to come by in Argentina—indeed, fuel is often hard to come by in the second largest country in South America. But CMP Project’s Federico Lozada and German Karp have done an excellent job despite the difficulties. 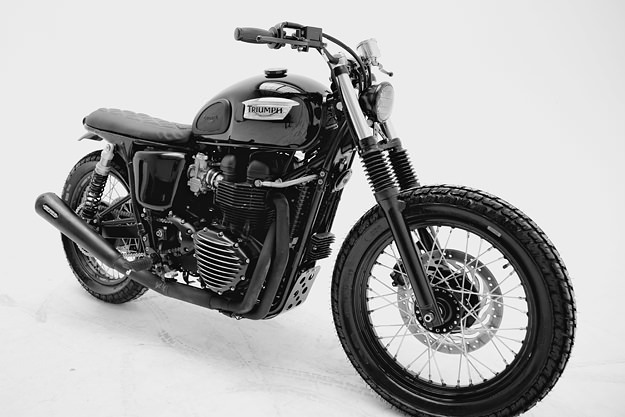 They started by virtually dismantling a 2011-model Triumph Bonneville. The rear subframe was chopped and shaped closer to the 1970s original, and a new seat was built to closely follow the new rear frame tubes. The 17” back wheel was replaced with a 19”, so both wheels are now the same size. As well as improving the looks, this raised the height of the bike a little—a useful bonus for CMP Project’s client, who is 6’5” (195 cm) tall. 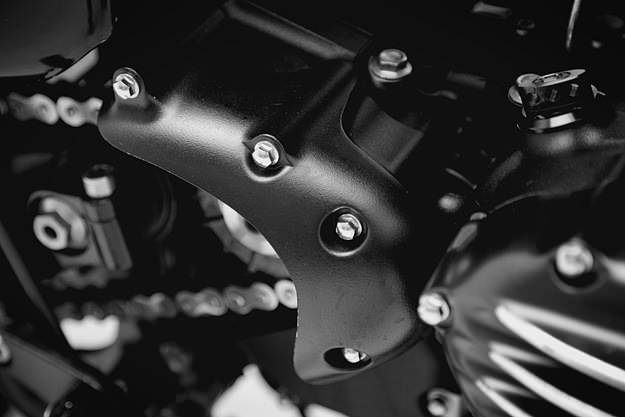 The tires are flat track, complemented by an Arrow exhaust system and Renthal bars bought from Japan. Halfway through this project, the guys from CMP met Pedro García from the hot Spanish shop CRD (who we have featured before). “García had already built a custom Bonneville, so a lot of info and data was exchanged,” say Lozada and Karp. 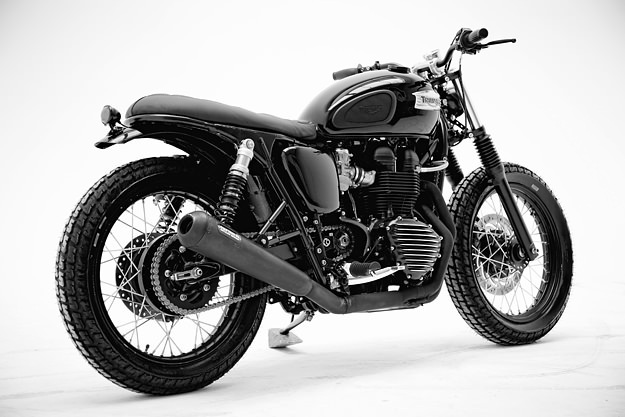 This Bonneville now weighs 25 kg less than the stock bike, so it should be even more fun to ride. It was CMP’s fifth project, and they’re now up to #8. Keep an eye on their Facebook page for more inspiration.